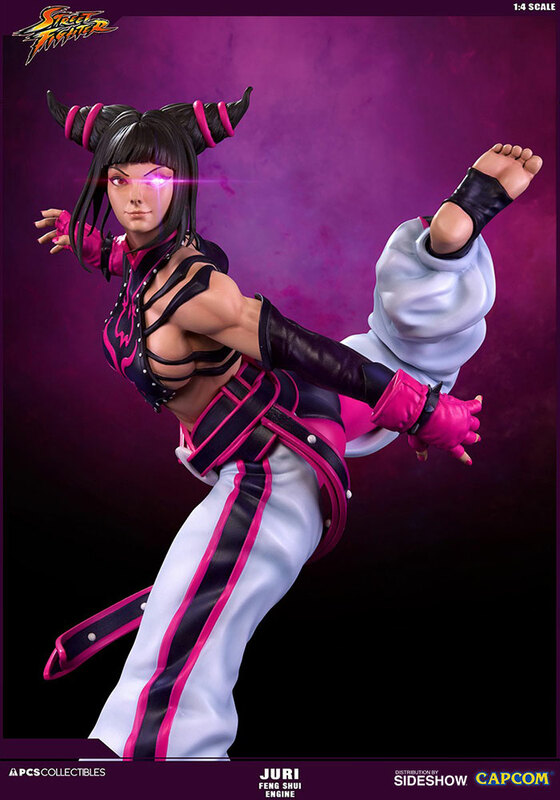 The first Korean fighter and Taekwondo practitioner in the main series, Juri Han’s explosive debut in Street Fighter IV made her an instant fan favorite, especially amongst competitive players who enjoy toying with their opponents. Like the character herself, in the hands of a tournament pro, she is an offensive force, capable of shutting down challengers before they can even get started. 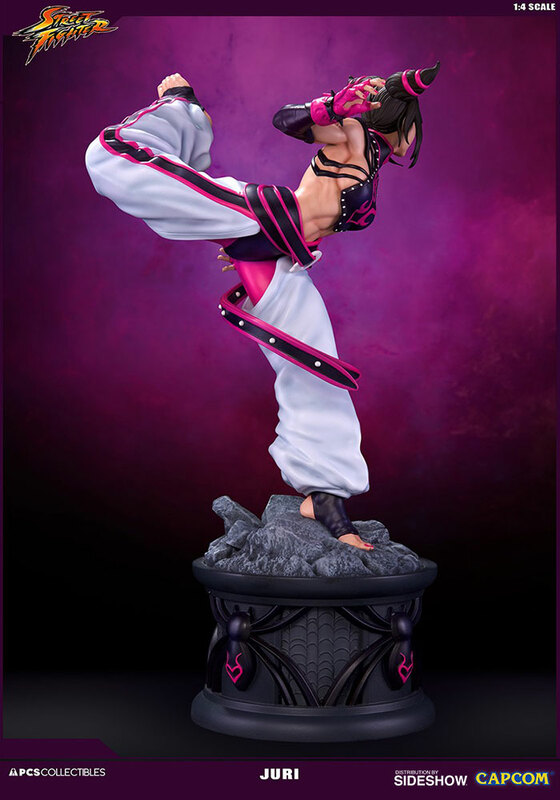 In the games, Juri’s combat style is so leg-centric, her kick moves actually replace punches, and renowned Street Fighter artist Edwin Huang has depicted the most dynamic of all for Pop Culture Shock to sculpt, her “Standing Heavy Punch” pose. 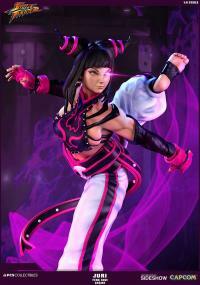 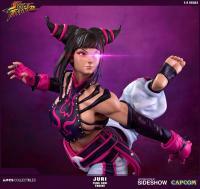 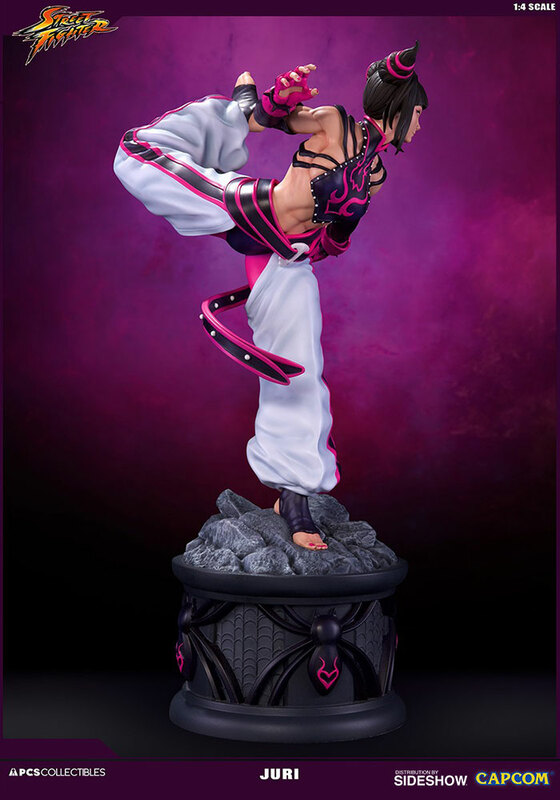 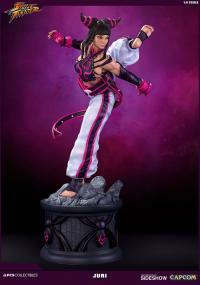 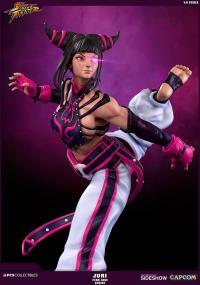 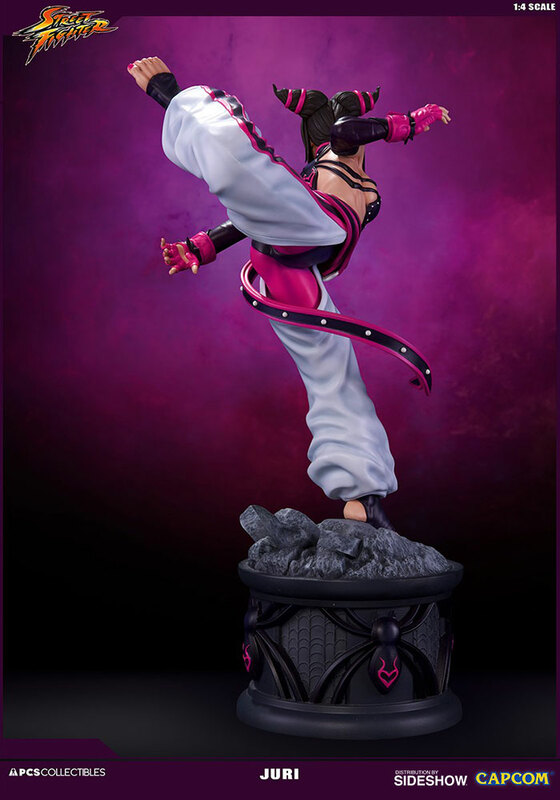 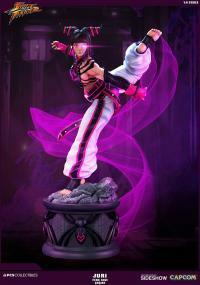 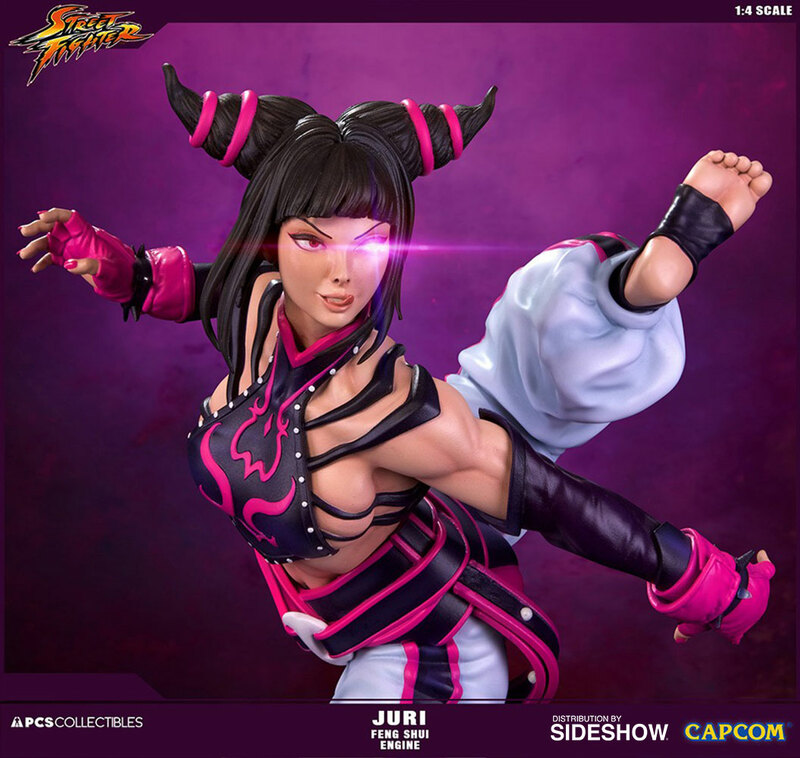 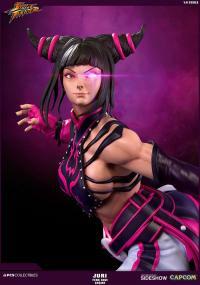 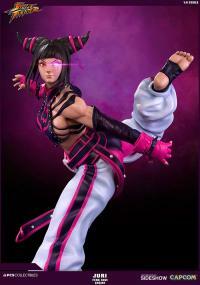 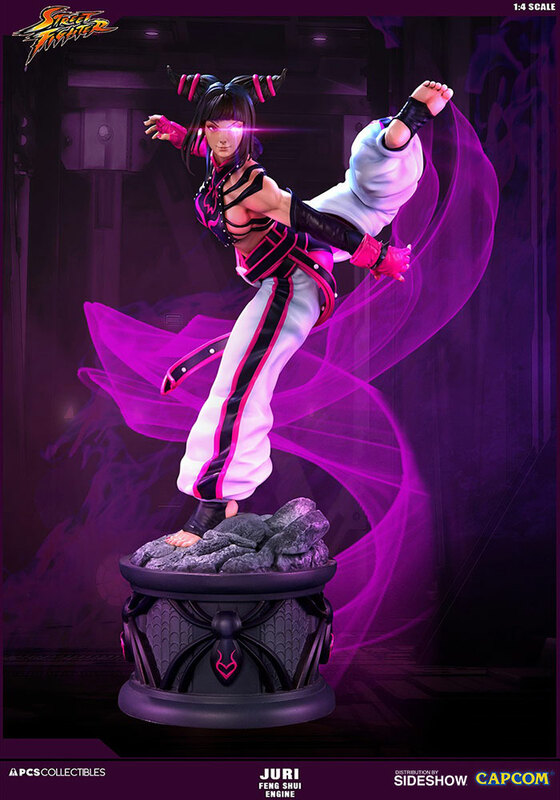 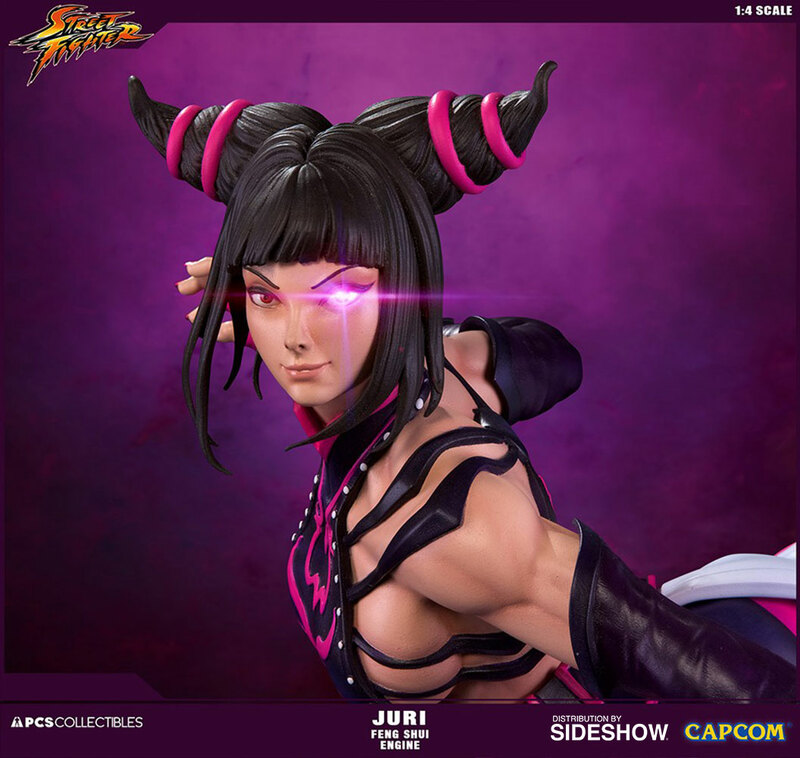 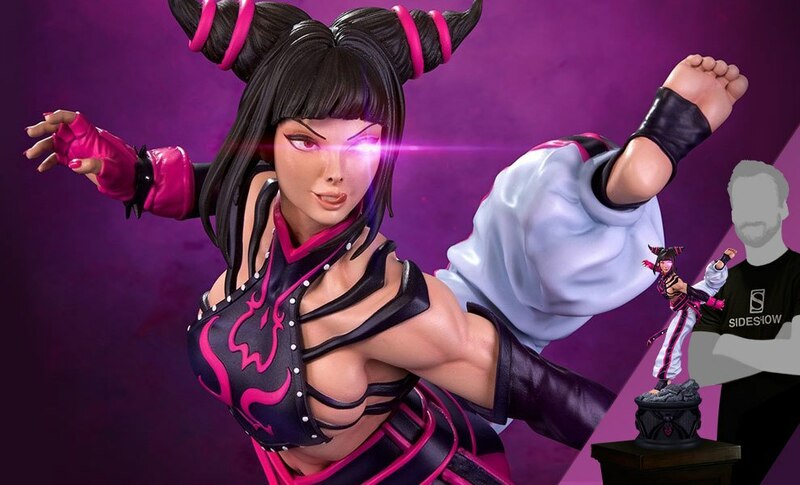 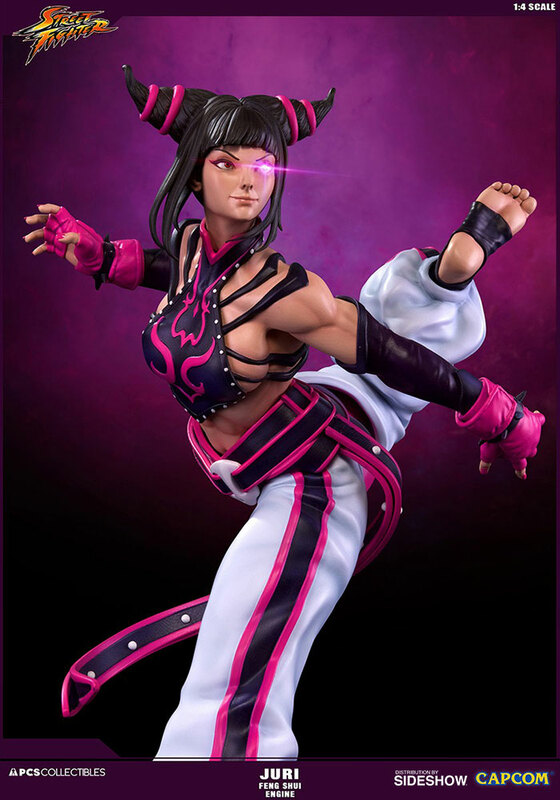 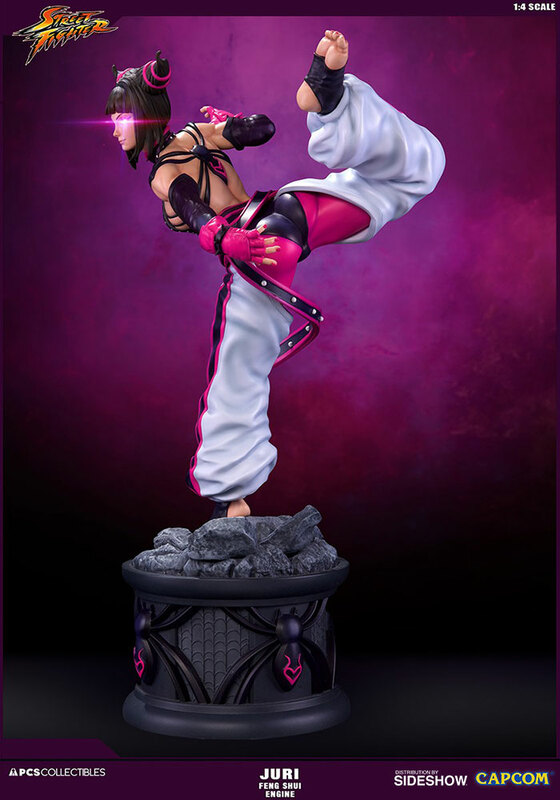 Dressed in her trademark hot pink dudou and striped dobok leggings, Pop Culture Shock Collectibles has recreated Juri’s sultry form down to the last detail, from the ribbons that fasten her hair into horns and studs on her belt, to the spiked bracelets on her wrists and wraps protecting her mani/pedi. 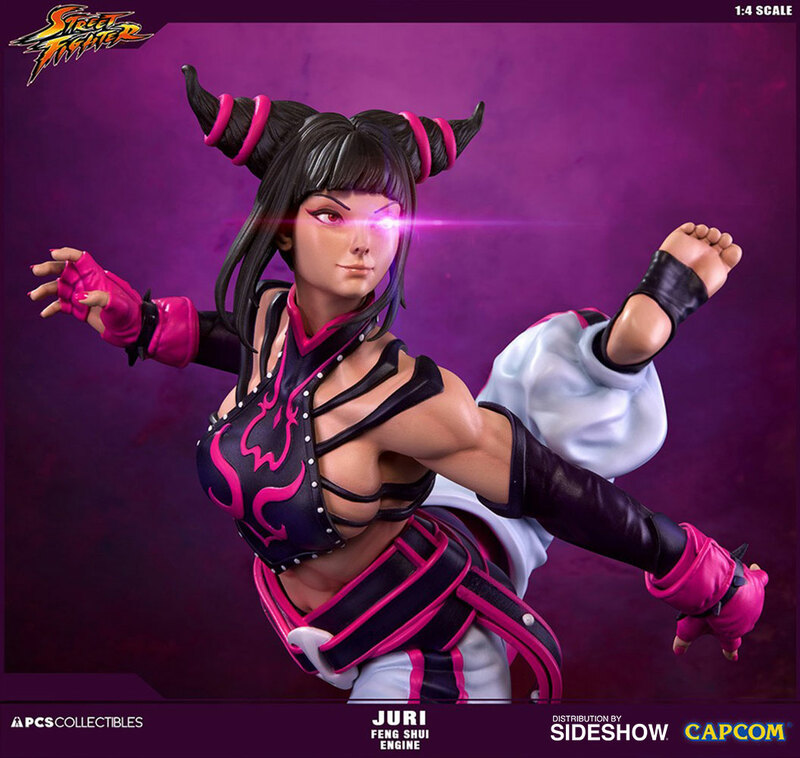 The 8 straps on her torso barely seem to restrain her bodice against the forces of gravity, slithering across her shoulders and down her back to form her spider emblem, which has been incorporated into a resplendent pedestal base. Standing a whopping 23” tall, she demands the spotlight, with a vibrancy that will make her pop out of any collection, a piece that makes itself known. 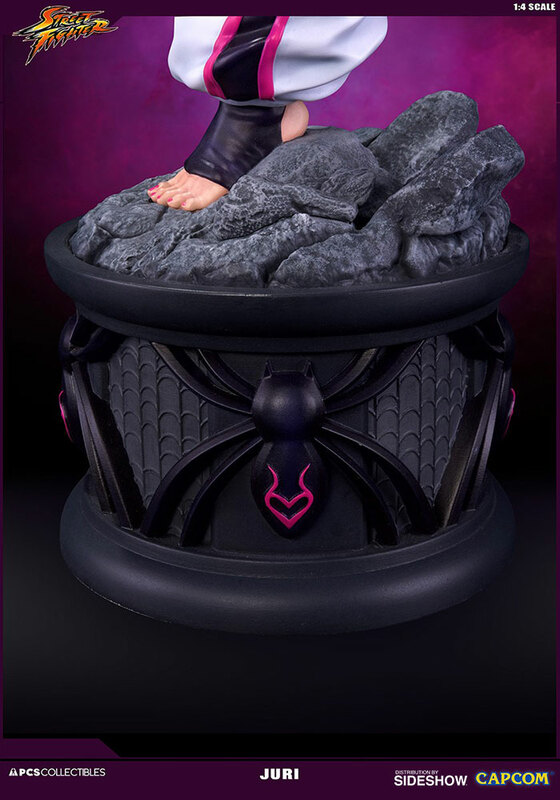 Pay as little as $133.50/mo.